The Pick & Place labeller is designed to apply labels to small difficult shaped products and components which cannot be labelled by conventional label applicators. Using a unique label placement concept, high accuracy label placement tolerances of +/- 0.2mm can be consistently achieved. 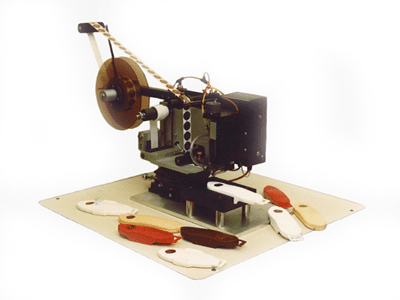 The Pick & Place labelling machine can be used as a semi automatic desktop machine using hand loaded turntable or jigs or alternatively built into an automated manufacturing line.